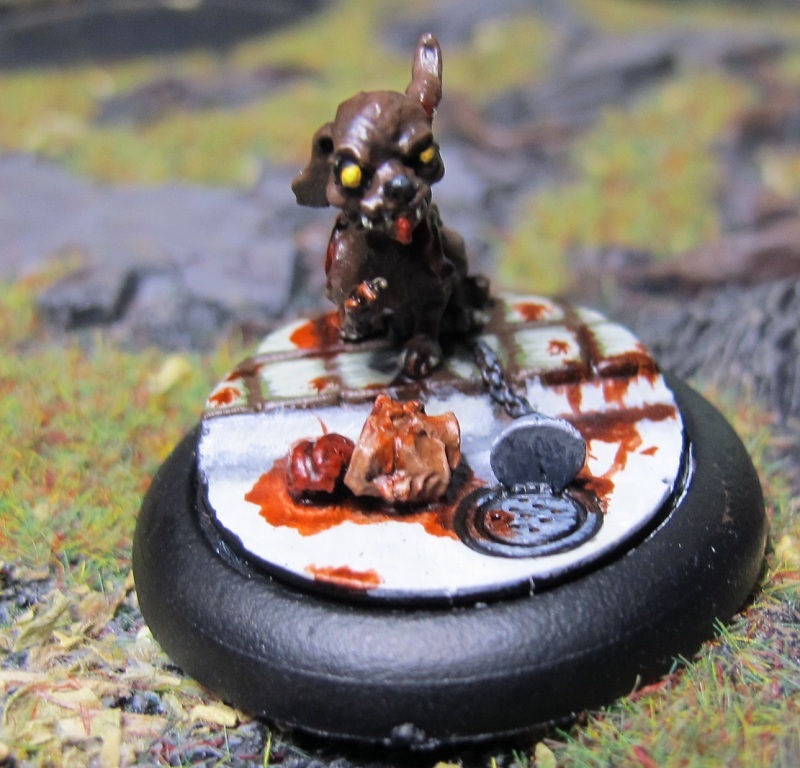 Zombie Chihuahua all done! 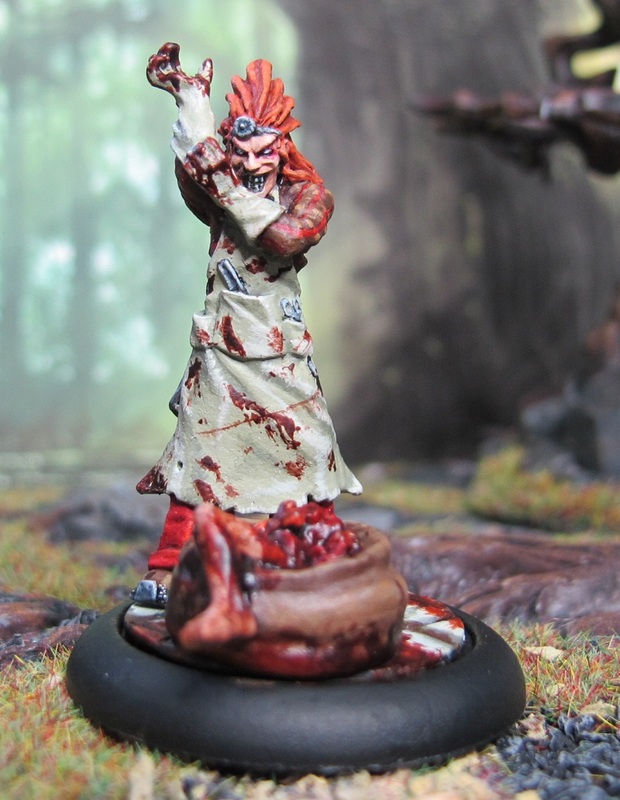 Again with some brand spanking morgue base sprinkled with a recently fetched trophy for its master. “Too true, Master,” his assistant grunted as he leveraged a large iron bar in an attempt to dislodge the cover. “Skrewk, sir?” Sebastian asked, and with a final jerk on the bar, the manhole cover came up like the cork off a bottle of champagnee. It rolled down the street and spun a few times before coming to a ringing halt. “It’s a term of resentment that I’ve invented. 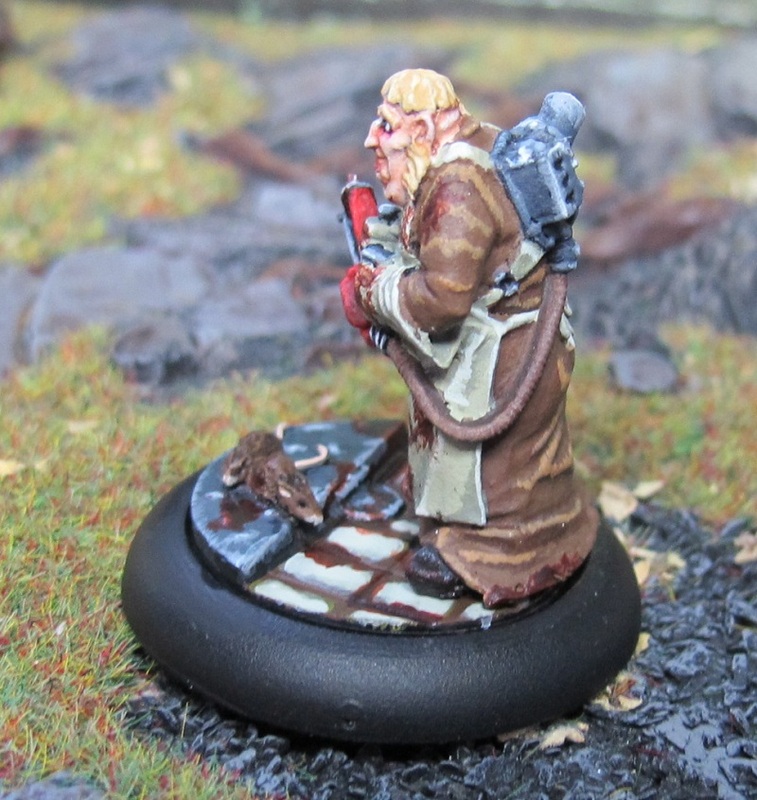 I’m testing it out,” McMourning stated matter-of-factly before he set off down the manhole. 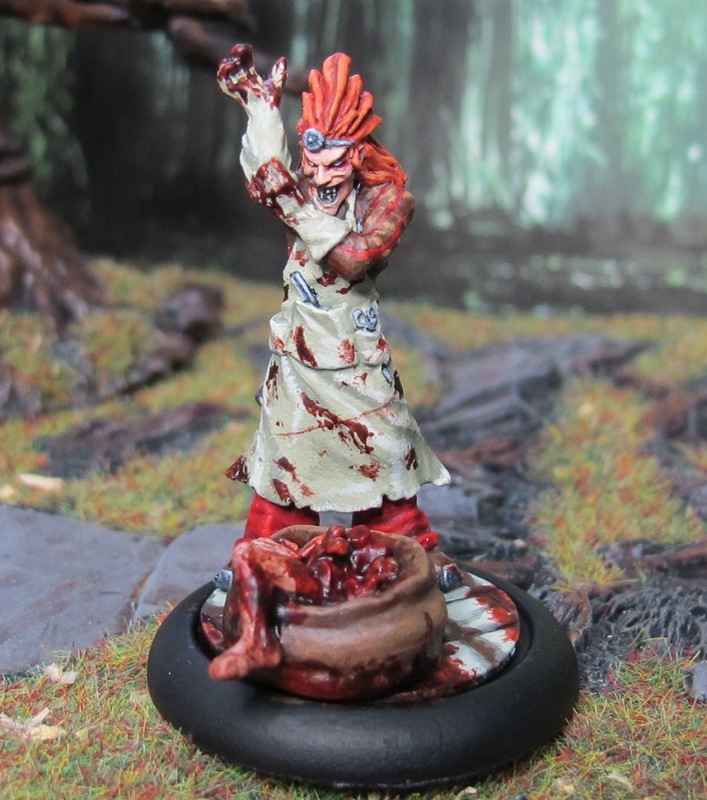 – Dead Man’s head, Malifaux Core Rulebook. 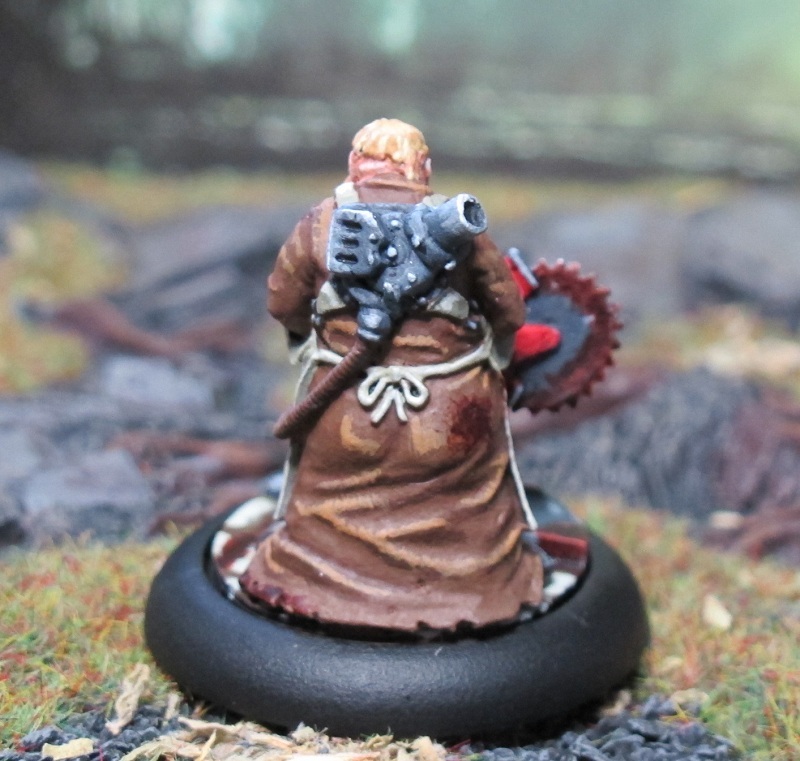 Dr. Douglas McMourning all finished on his new shiny morgue base. Spiced it up a bit and gave him a big bag ‘o bodyparts for convenience! 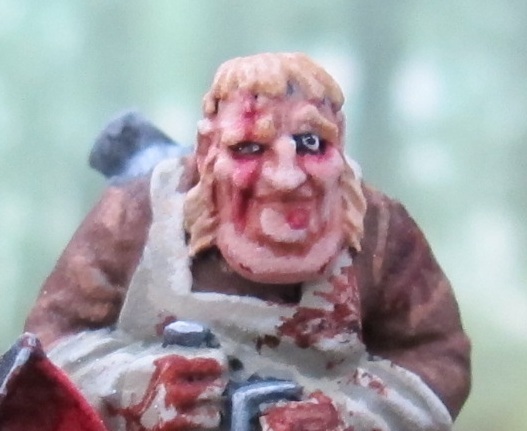 Douglas was probably my first proper attempt at blood spatter effects, Pyramid head being the very very first. 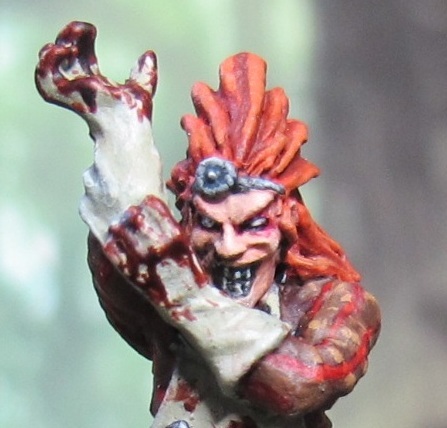 Blood effects is the Internet renowned Tamiya clear red mixed with GW black ink, spread out with a single straw from an old dish-brush. Originally, I had planned to give him a tartan-like shirt, but after comparing to standard stripes, it just didn’t look as good. Now he almost feels like a pool player from behind. Besides from the left part of his face, which was damn near impossible to get right due to his hand blocking, he was a blast to paint. 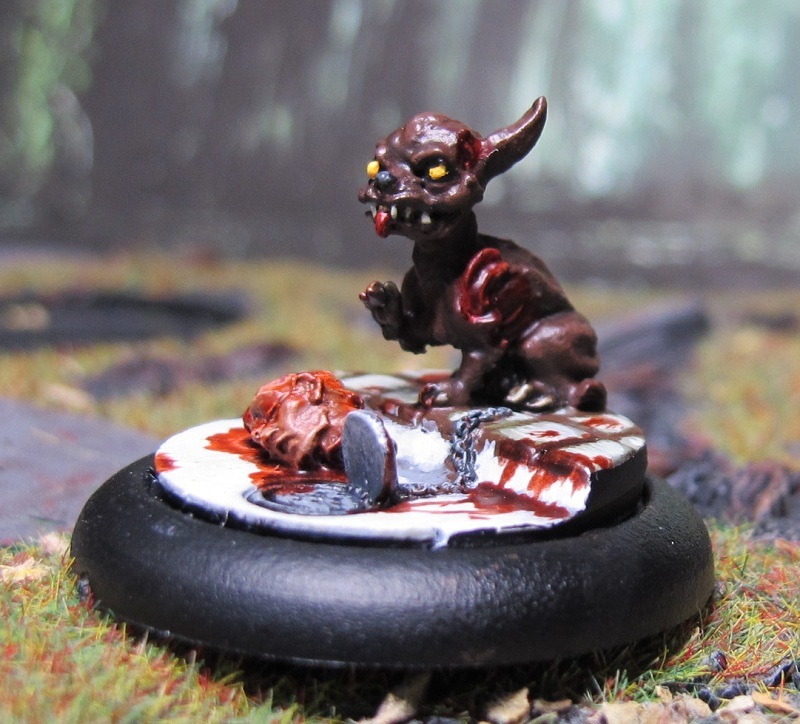 Hell, 95% of the Malifaux range is an absolute joy to paint. 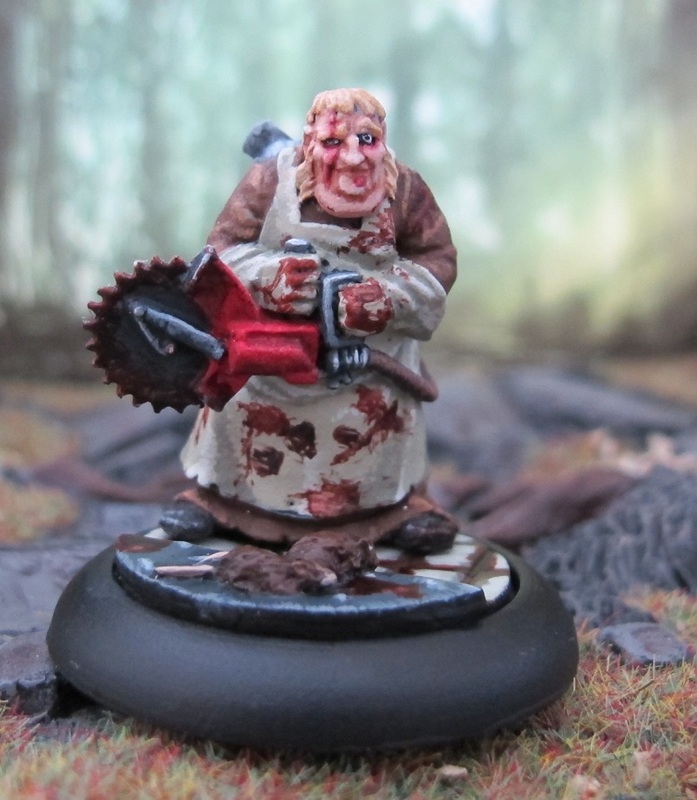 All done with everyone’s favourite bonesaw-weilding dimwit Sebastian. 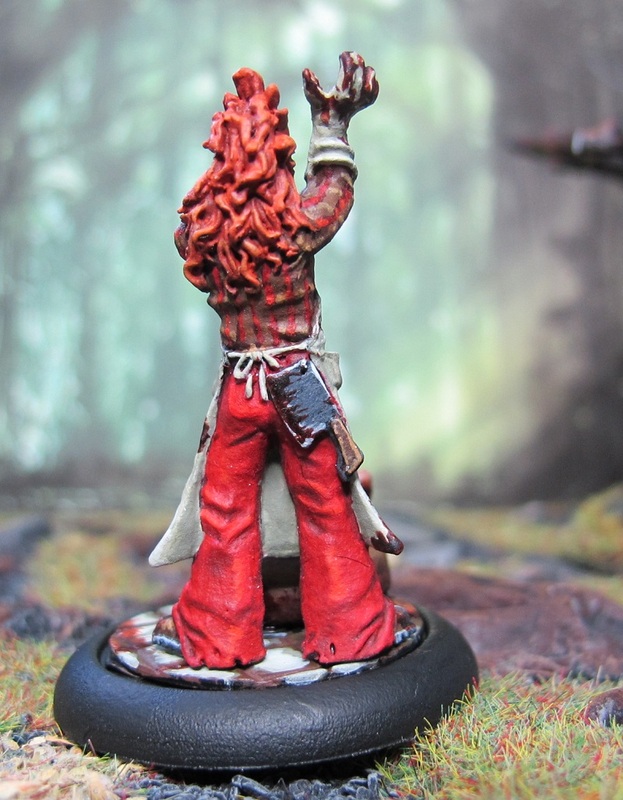 The new morgue bases feels like a great addition to the morgue employees, and I’m more than glad that I had the patience to wait for them. 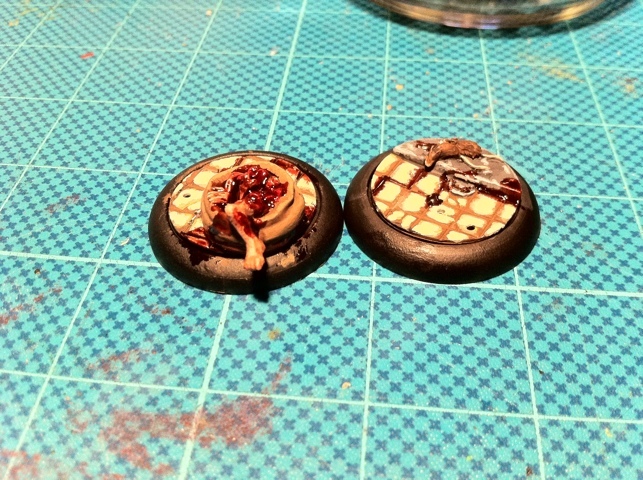 Blade runner was on the telly this night, so I finished up two of my recently bought morgue bases. they still need some Matt varnish, but aside from that they’re all done. Can’t be arsed to write more as it’s 03:36 and I’m typing on the iPhone… All hail discordia and good night.